Every year I attempt a gingerbread house. I buy the $10 kit and excitedly open it with the girls. We breeze past the instructions, tossing them aside as we open all of the cookies pieces and candy, ready to dive into this yummy adventure. We start throwing pieces together only to realize each piece needs time to set. This is not acceptable to young children. There is no patience to let icing dry, especially with stacks of sweet, delicious candy sprawled out in front of them. After multiple attempts to hold them off to allow for the house to dry, I give up and let them dive in. As a result, we are typically left with pieces of roof that slide off and the entire structure eventually collapses. My general contractor husband usually finds this comical---me? Not so much. This past Monday I decided to take a stroll through our newly, reopened Target (the roof collapsed during hurricane Irma and the reopening was Monday). As I strolled down one of the amazing Christmas aisles, I see it! 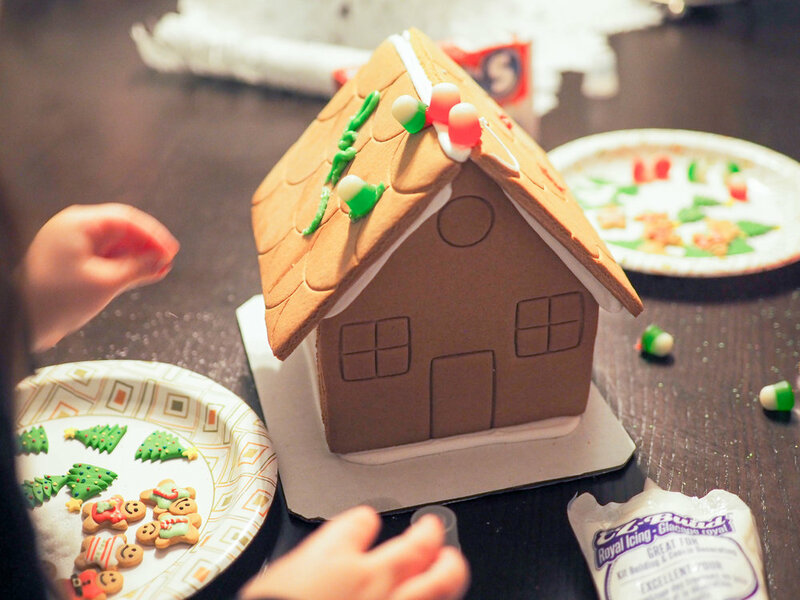 The answer to all of my Christmas Gingerbread house woes---an assembled, undecorated gingerbread house! I couldn't put it in my cart fast enough. I have a feeling these have been around for a while and I've just been oblivious but that didn't hinder my excitement. I snagged some sprinkles, icing, and candy treats for the decorations and headed home to surprise the girls. When we started the unwrapping of the house, the girls were able to dive right in. I couldn't even get a picture of the "before" fast enough. 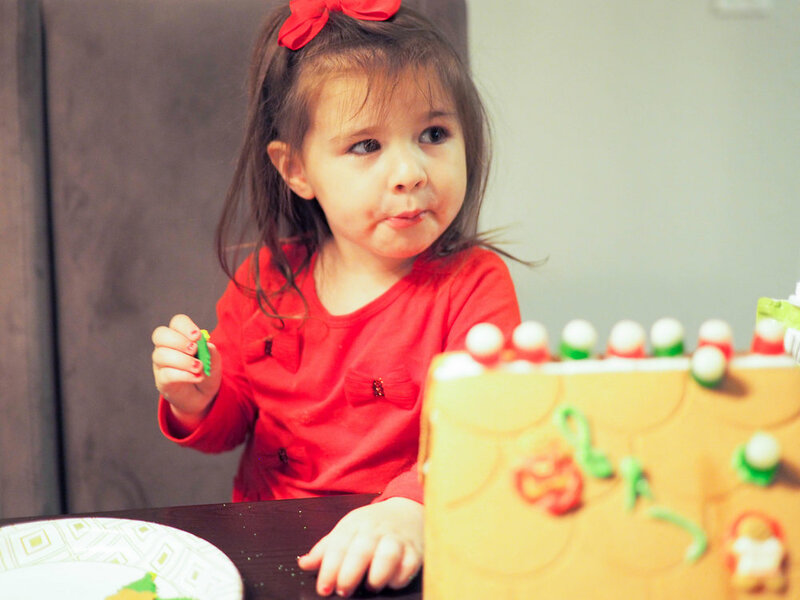 Both Henley and Macie were using the icing to adhere tiny trees and gingerbread men all over the house. Macie ate two candies for every one she placed on the tree. Sneaking DOTS, don't think I don't see you little one. I love the concentration in her little face. This took the girls a good hour and there was zero frustration. The finished product was an adorable, little house. It was a huge success! 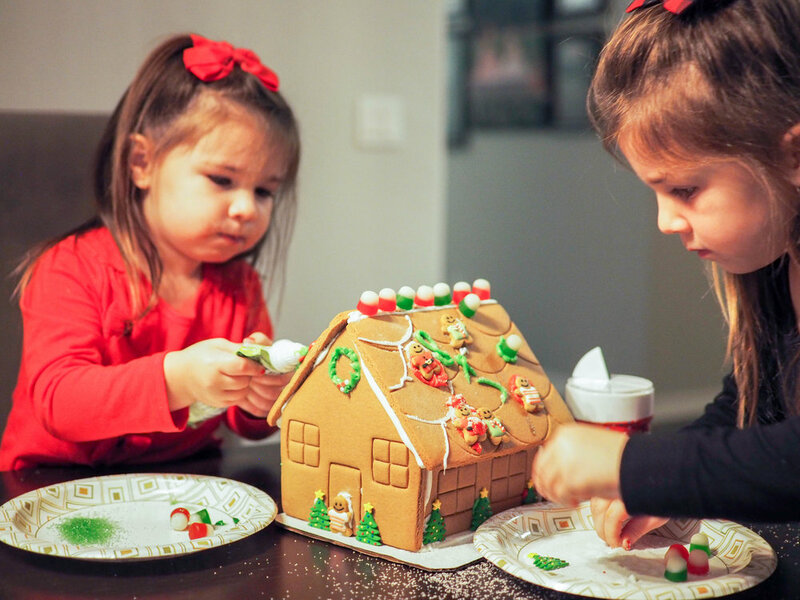 The best part of gingerbread houses is the decorating, building the actual house is a frustration only left for us moms. Save yourself, buy the assembled house! And Target, as always, you win again!